Discussion in 'FIFA 19 Faces' started by FIFER_MODS, Feb 10, 2019. 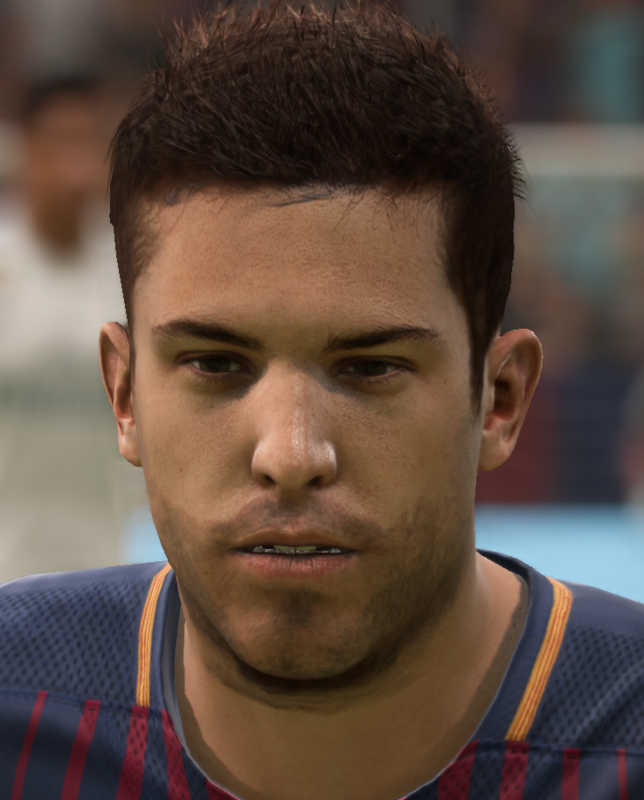 Now that Gman has gave us the news that FIFA 19 can be edited, I'm working on faces! To start, I'm doing the whole barca team. Already finished alba, vidal, countinho (with neck tattoos), dembele and lenglet! 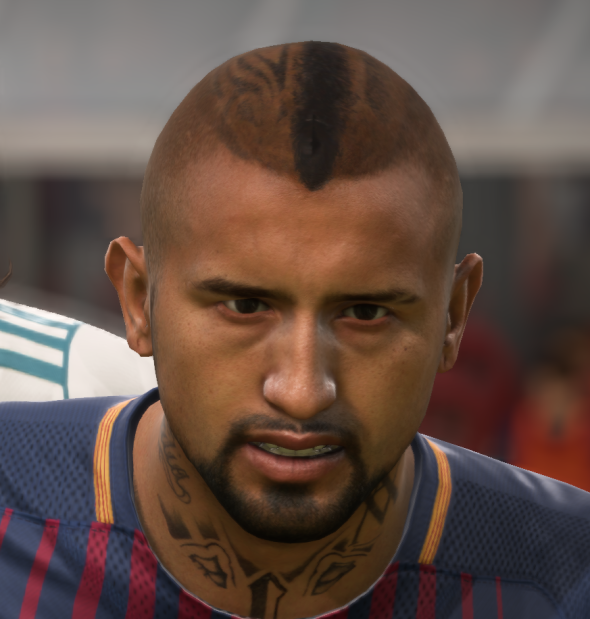 great man, can I request png versions of the face textures to add them to earlier fifa games? Sadly, I can't give away my textures, just in case someone might steal them, but what FIFA would you want it for? that's a shame mate, some real idiots out there spoiling it for everyone!! Luckily, I have FIFA 16, so I'll try to make a faces mod for FIFA 16 aswell! Thank you! I'll try to get some more screenshots soon. Perfect! If I do I will try to get into this area of making faces too. But it lacks a lot to get to your level in quality. Sorry for not posting, been caught up in other things. Finished about 5 faces, but I'm just starting to learn how to import them into blender. Here's a WIP of Rakitic. Just need to turn the hair blonde and I think that will be good. Any suggestions? The colors still look very light. No idea how to change that. If someone knows how to get pictures like Perry's, let me know. To switch to isometrics view, use 5 on your numpad. The lightness is caused by your graphics card, add blender to your exceptions list of your graphics card and you'll be fine. Thanks to FCB17, I can now show proper previews. Here's Coutinho with updated beard and tattoos. I'll show Rakitic next. Still a WIP. Beard looks a bit dirty, back neck tattoo needs to be correctly lined up. Can't make the quality of that tattoo much better as I don't have a good picture. Any thoughts? Re_coded and FIFER_MODS like this. God they look so much better then mine! Yeah, if you could, I'd like to try to edit them a bit. I got my tattoos from PES aswell, but yours look so different. Yeah, you are sick at it!